Hutchinson, Kansas and the larger Reno County area recently launched three new websites to promote the region. The sites will serve as a valuable promotional tool for businesses, economic development and tourism. 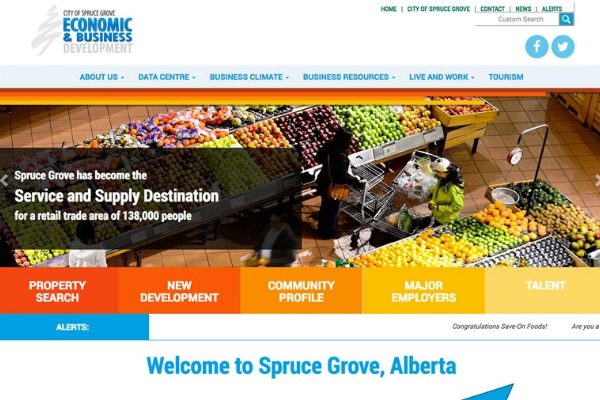 An online portal combines the sites into one user-friendly and comprehensive resource with a wealth of information for businesses and site selectors as well as potential residents and visitors. The sites were developed for three different organizations with distinct, yet related, missions: the Hutchinson/Reno County Chamber of Commerce; Visit Hutch, the Greater Hutchinson Convention/Visitors Bureau; and Greater Hutch, a partnership for economic development in Reno County. The Hutch Chamber website is directed at businesses. 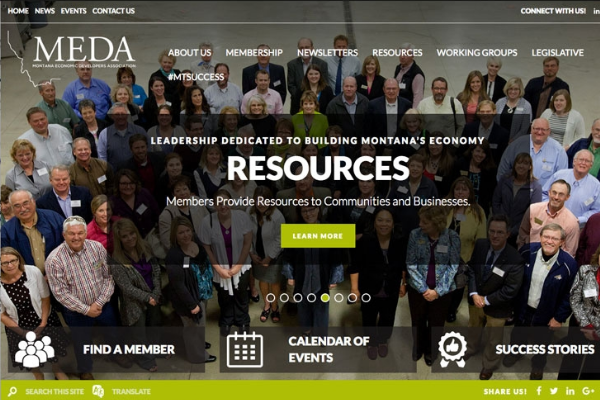 It includes information about membership opportunities, policies and ways to connect with the local business community. 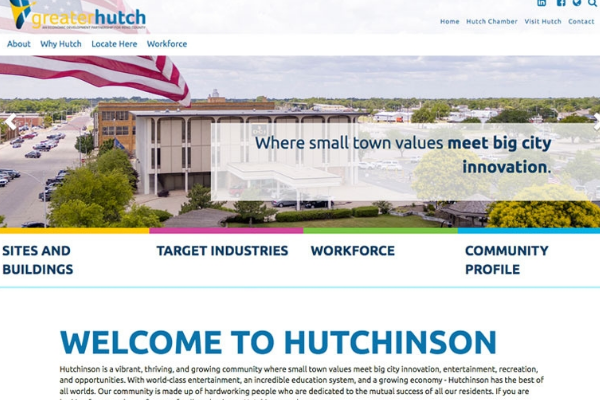 The Greater Hutch website has an array of details about businesses advantages, available sites, target industries and the area’s workforce. 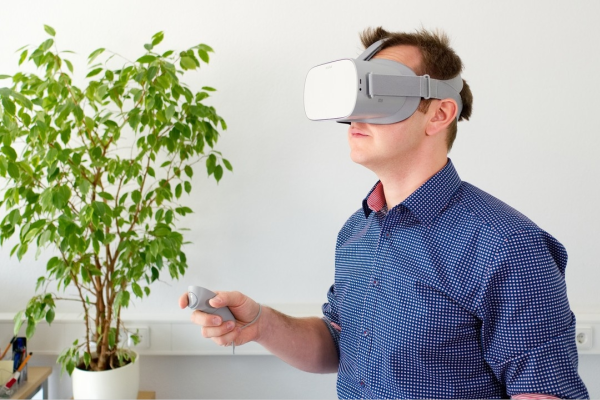 It features powerful Zoom Prospector and GIS Planning tools that allow for auto population of area demographics and community profile data as well as real time real estate property updates from a local MLS provider. Visit Hutch provides a window into the area’s events, activities and attractions. It features a virtual visitor’s guide and information about restaurants and lodging. “This project helped us achieve a synergistic look across our three distinct organizational entities,” said Hutchinson/Reno County Chamber of Commerce President and CEO Debra Teufel. The Hutchinson/Reno County Chamber of Commerce selected Golden Shovel Agency to create the website. The national economic development communications firm is recognized for its award-winning design and expertise in business and workforce attraction. 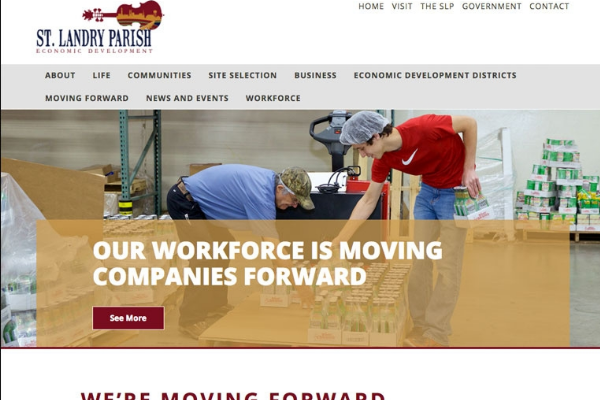 “Working with Golden Shovel gave us access to a deep bench of website development talent that specializes in working with communities with the primary focus on economic development, branding, and real estate promotion,” noted Teufel. View the new online portal at https://www.choosehutch.com/. The Hutchinson/Reno County Chamber of Commerce is dedicated to creating a favorable business climate for its nearly 1,200 designated members representing approximately 750 area businesses. The organization has been building a stronger economy and better business community since its inception in 1919. Along with its affiliate organizations, Visit Hutch and Greater Hutch, the Chamber is involved in business retention and recruitment as well as promotion of area attractions and events. It takes a leadership role in projects and initiatives dedicated to maintaining and improving the area's economy and quality of life.